The Old Ghost Road is a challenging, alpine tramp. Please contact us if you are unsure about your suitability for this trip. 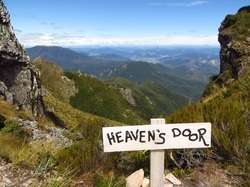 We pick you up in Nelson at 7am and drive to Lyell car park (approx 3 hrs driving) in the Upper Buller Gorge. We pack up our gear and begin our walk with a steady climb along the 100+ year old dray road, stopping along the way for lunch. We'll get occasional views across the stunning Lyell Range and pass through beautiful mature beech forest. The spirits of the old miners and track builders are inescapable. No less than seven ghost towns populate the Old Ghost Road route, and we will pass relics of old gold mining claims and ghost towns on our way up to Lyell Saddle Hut (875m above sea level). The walk begins with a 6 km graded climb through cloud forest up to the tussock tops of the Lyell Range. Then it’s 6 km of relatively level open-tops travel to ‘Ghost Lake’ and the stunning Ghost Lake Hut. Unparalleled views of pure South Island majesty are yours with every stride. After breakfast, we will begin our descent down from Ghost Lake Hut down through the mystical and mossy Dragon's Creek beech forest. The track then zigzags across several ridge tops before descending down the Dr Seuss-like ‘Skyline Steps’ at the end of Skyline Ridge. We'll have two steep descents totaling about 800m on our way down to our evening accommodation at Stern Valley Hut. The track leads us up the Earnest Valley (north branch of Stern Creek) and through the strange but gorgeous open meadows of its catchment. At the twin lakes (Lake Grim and Lake Cheerful), we climb up again through the ‘Boneyard’, heading for ‘Solemn Saddle’ and then on down through ‘The Hanging Judge’ into the headwaters of the Goat Creek catchment. Scrub and grass covered valleys form the way until the final couple of kilometres through bush to the historic Goat Creek Hut. From Goat Creek Hut it’s 8 km of flat walking down through the beautiful podocarp forest to the Mokihinui Forks Hut and then on to Specimen Point Hut. The hut is situated at the head of the mighty Mokihinui River Gorge. The track begins to undulate as The Old Ghost Road picks up the old miners’ track hugging the true left bank of the mighty Mokihinui River gorge with stunning river views. We finish our walk with a night at the Rough and Tumble Lodge – a great way to celebrate the completion of a spectacular walk. After a tasty breakfast, we deliver you back to Nelson approximately 2.30pm, in time for an afternoon flight/bus or we drop you at your accommodation. ​The weather can change quickly on this track so you must be prepared for adverse conditions. 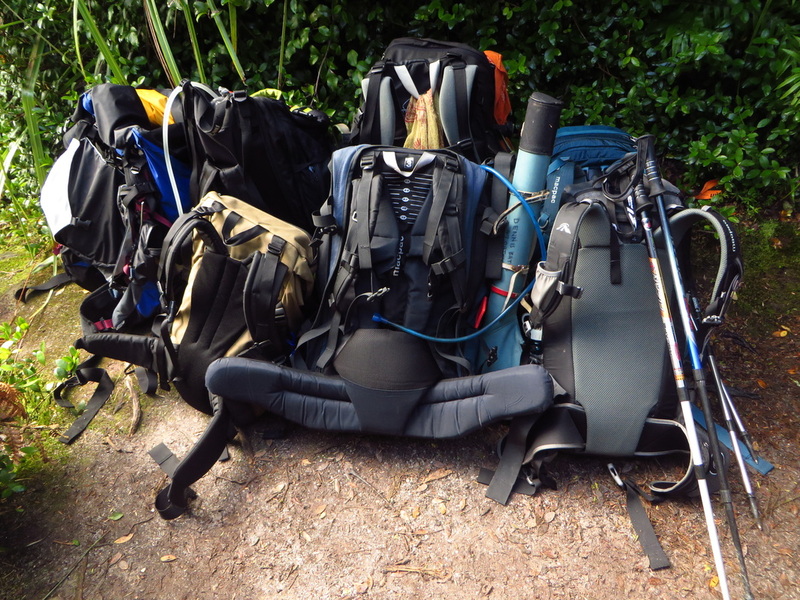 It is a good idea to make your pack as light as possible (aim for 8kgs) for your own comfort.